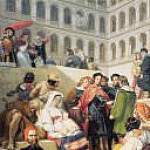 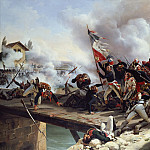 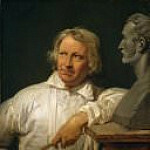 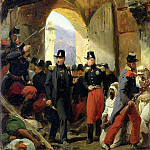 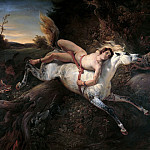 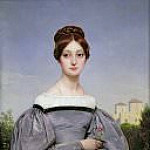 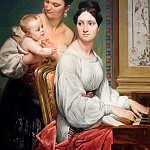 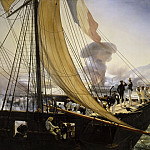 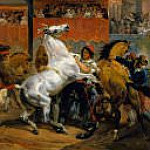 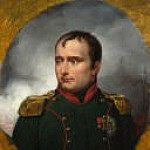 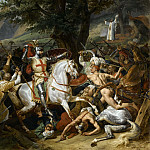 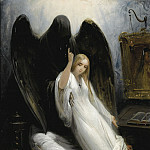 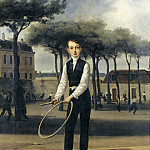 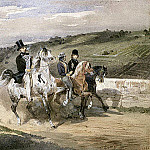 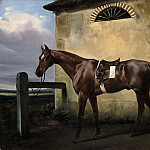 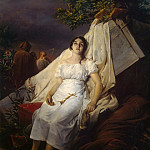 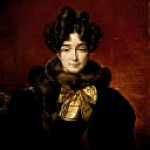 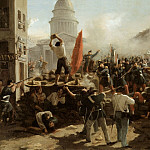 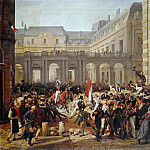 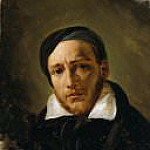 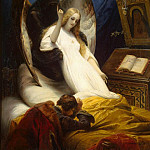 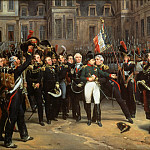 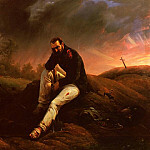 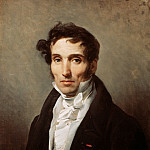 The famous French artist was born in June 1789. 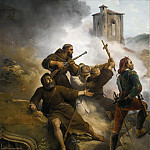 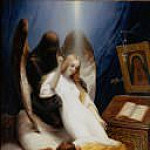 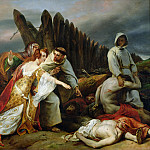 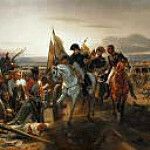 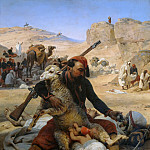 Painter specialized in images of military scenes and biblical scenes. 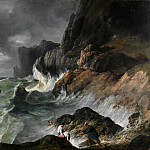 The life of Vernet was predetermined, because he was born in a family of artists. 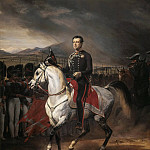 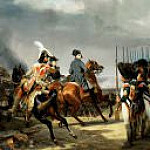 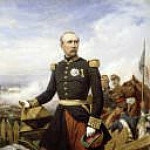 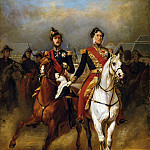 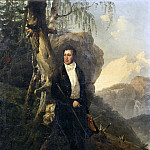 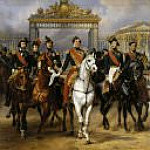 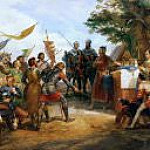 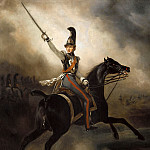 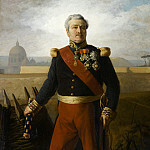 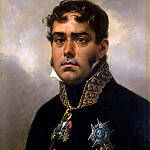 In addition to his main profession, he was engaged in diplomacy, entering the upper strata of French society under Napoleon I, and later under the Bourbons. 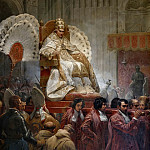 Power has changed, but rather has always been in fashion. 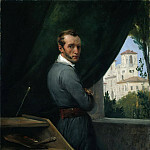 Due to the peculiarities of his work, the author was a certain success with the ruling circles, as in his paintings present naturalism and light shades of romanticism, while the artist is not refused pomp and formality and classicism master completely ruled out. 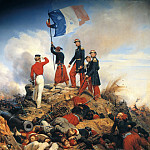 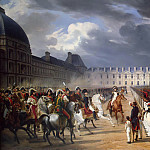 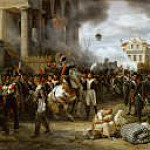 In 1812 the artist was awarded the Order of the Legion for his creation "Protection of Paris." 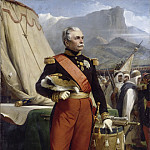 Over time, he gained a leadership position in the Roman Academy, where he remained for six years at the helm of the institution. 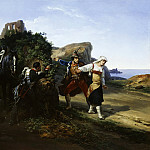 During this time he managed to build a monumental castle in the countryside area of ​​Hyeres. 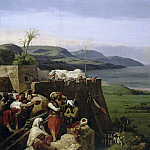 Village conquered the artist, and he recognized his castle an ideal place to work. 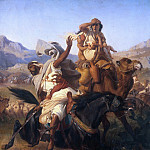 French armed forces have done without the painter during the company in Algeria. 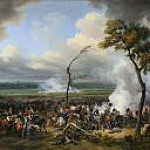 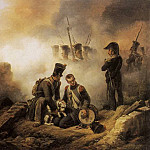 Author wore French military uniforms, but had never been in a real battle, and their creations embodied after interviewing soldiers who returned from battle. 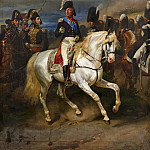 He was full of confidence in their necessity and importance to society and the government. 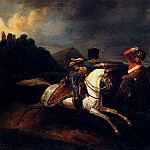 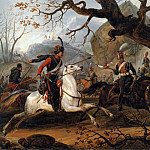 In social circles Vernet was very popular, but critics recognized him as the greatest painter of the era. 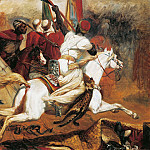 Critical arrows razili master on the basis of political belief, many were opposed to the army, and this results in a harsh word, at the creator. 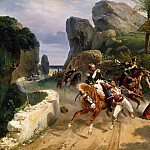 Getting to Vernet distant Russia was held for the first time in 1836, after six years, the artist returns to the snow-covered land. 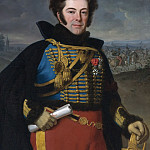 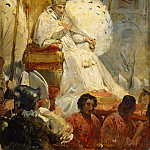 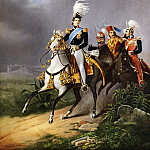 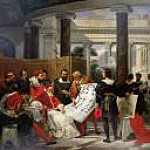 Diplomatic duties forced the Frenchman to appear before the Emperor Nicholas I. Vernet granted an honorary Order of Alexander Nevsky, made with diamonds. 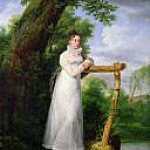 Nobles’ hereditary title was another gift of the artist. 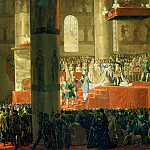 The king asked the painter to execute portraits of the royal family, which was the highest expression of confidence, this honor awarded only your favorites. 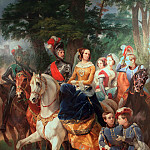 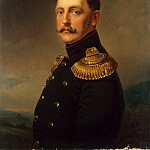 The cultural program included support for the Frenchman Nicholas I, when visiting monarch Voznesensk maneuvers. 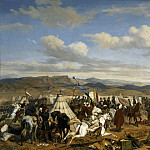 During the Russian-Turkish conflict of the artist was asked to record the events on the canvas, for each of the fifty thousand rubles into the pockets of the faithful. 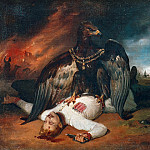 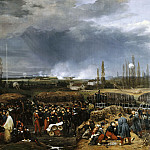 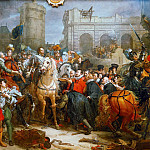 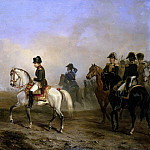 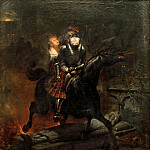 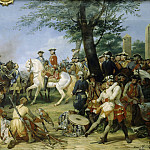 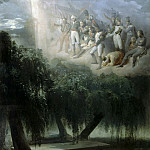 After writing the famous painting «The Capture of Warsaw» fees amounted to about two hundred thousand francs. 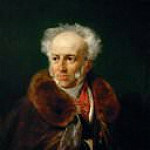 While Verne was in Russia, he did not change his habits, rotating among the nobility, and use the right to visit various events. 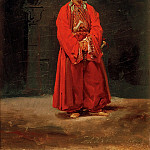 Topped with a Russian voyage visiting artist of St. Petersburg, where he was greeted with open arms and undisguised enthusiasm. 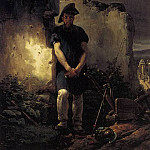 Fans of French talent enough in Europe, and the high cost of his work does not surprise anyone. 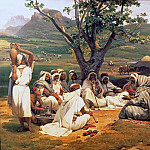 The great demand for pictures do not let us go back to wallow in the lack of money. 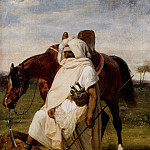 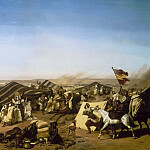 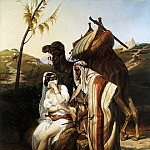 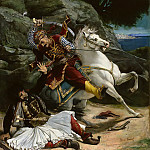 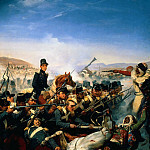 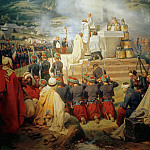 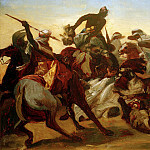 More professional in the arts of the 19th century, Stas testified that Verne was at ease only when out of his hands out African Bedouins, bloody battles, he extolled the action of the French army and portrayed the smallest events of world history. 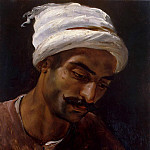 Poetic lines bypassed works of the artist side, it is characterized as a person and down to earth surface. 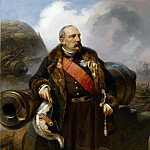 Vladimir Stasov noted that one can not take away from the crazy energy of the return it and belonging to the first realist era. 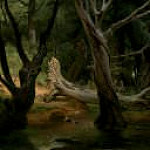 Creativity is characterized by the presence of the master in the works of the cold analysts. 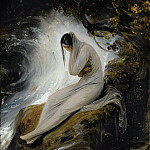 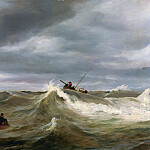 People almost do not express emotions and feelings in the paintings of the author. 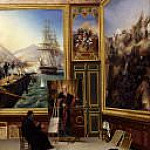 Observance of the smallest details, the absence of contradiction makes true facts stunning example of realistic perception of art. 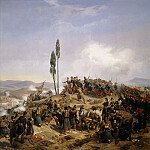 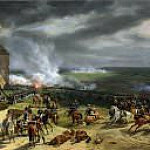 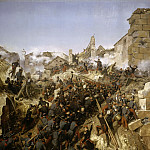 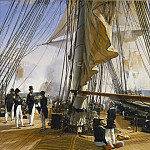 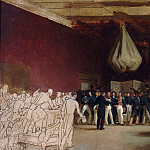 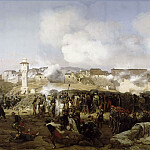 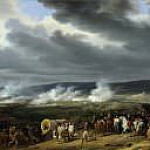 The artist has established himself as a consummate master of depicting scenes of fighting, his works are large. 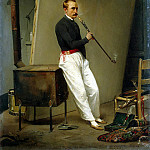 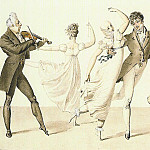 Starting from 1830, within twenty years later he performed at the personal request of Louis Philippe and Napoleon III. 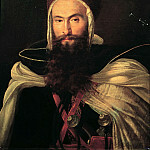 Who keeps Versailles wizard. 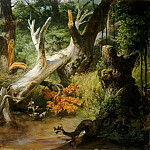 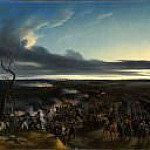 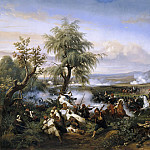 Often true battle scenes combined with the bright colors of nature. 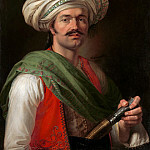 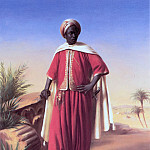 Orientalism was its development thanks to the African area of ​​work of the Frenchman. 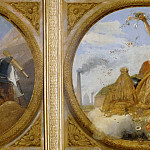 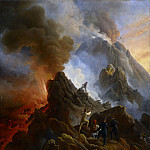 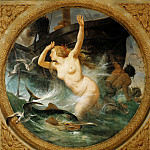 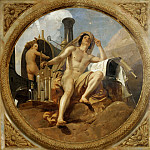 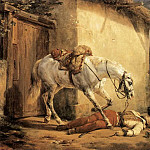 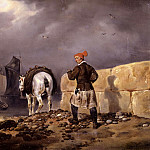 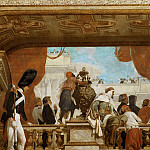 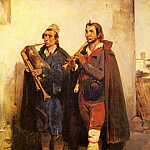 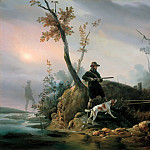 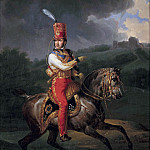 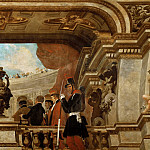 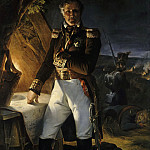 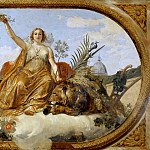 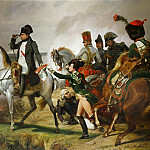 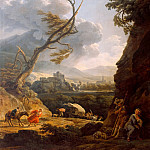 Vernet - bright and unusual creator of the era, his monumental and decorative painting still makes admire specialists. 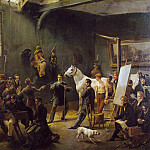 The works of the painter are kept in museums around the world.